I usually want a gin that plays well with others, one I can use in all sorts of different drinks. Some gins are more particular though, getting along famously with some and acting aloof and standoffish with others. Port of Barcelona gin is one of those gins. It is produced in the Kingdom of Spain by Esmeralda Distillery, the same people who bring us the delightful Obsello Absinthe. The botanicals listed are wild juniper, sweet almonds, hazelnuts, lemon zest, star anise, allium cepa, orange peels, coriander seeds, chebub seeds, black cardamom, orris root, ginger root, nutmeg, and cubeb root. The gin is distilled three times, the final time in the same copper alembic stills used for Obsello. The label tells us it’s a distilled malt gin, and I do sense some malt on the nose and the palate. The scent is more reminiscent of a genever than a London dry gin. I also smell a faint hint of juniper under the coriander, mild citrus, cardamom, and nut. On the tongue, I taste the peppery cubeb root and oniony allium cepa, as well as the start anise, citrus, and nuts. It has a softer mouthfeel, once again similar to a genever. Port of Barcelona does have a unique list of flavors, and to my taste, they are flavors that do not work well in a martini. I made a 4:1 martini, and it was possibly the least enjoyable martini I’ve ever made. The gin and the vermouth seemed to be at war with one another, and the drink never settled down. On the other hand, the Port of Barcelona makes what is currently my favorite gin and tonic. I have tried it with both Stirrings and Schwepp’s tonics, both with great success. The tonic really opens up the different flavors. The result is a fascinating, delicious drink. Granted, I do like a good gin and tonic, but these were so good I had a hard time resisting the urge to finish the review bottle I was sent making more. I did want to experiment, however. Given that tonic worked so well, I thought I’d give champagne a shot, and maybe add a little more sweetness. I can’t believe the following isn’t a standard marketing drink for St. Germain, as it’s the way I most commonly use it, but I can’t find it on their site, so I’m going to give it my own name. 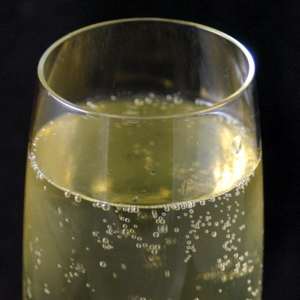 Pour liqueur and gin into champagne flute, top with sparkling wine. This is another flavor combination that works well. The Port of Barcelona flavors seem to clash with the flavors of vermouth, but the mildness of a dry sparkling wine acts more like the tonic, to open them up and let them play. The St. Germain plays a pleasant backnote, bringing the flavors together. You won’t catch me ever making another martini or other vermouth based drink with Port of Barcelona. But I plan to keep some on hand for making truly outstanding gin and tonics. Sometimes you have to appreciate that some liquors are just more particular, and treat them accordingly. They may show you their secrets! It’s weird how some gins just don’t get on with vermouth, though that could be a problem with the malt base. I tried something involving Amsterdamsche Oude genever and Noilly Prat Dry and it’s didn’t go well. Wow, this post is what i needed, i haven´t yet opened my bottle but i did try it in the Mixohouse house in New Orleans and i remember it was a very nice tasting gin. So i`m off for a G&T, thanks for the tip! Oh boy! Another drink to try with St. Germain! Thanks for the review. I am going to try that drink sometime soon and see if maybe you have found a standard drink for our website! I cant speak for the folks at St. Germain though. I have finally tried this gin and I agree with you. The Gin & Tonic was delicious, but did make what I think was the worst Gin Martini I have ever made. The cubeb root stands out and doesn’t much like being that close to dry vermouth. An unusual but very nice gin, I’ll be saving it for my non-vermouth cocktails! Oops, I mean’t cubeb seeds!!! !